A weekly postnatal class for mum and baby in the 4th Trimester, to help you learn how to use baby massage and movement to aid calming, soothing and connection with your baby. When it comes to he new days and weeks of motherhood, any number of emotions can over whelm us: Joy, anxiety, delight, fatigue, happiness, uncertainty, Isolation or perhaps even low mood or challenging feelings. 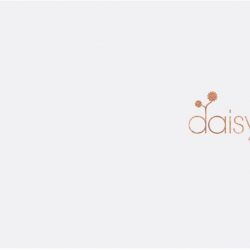 Daisy Baby Tinies helps new mums enjoy a safe and supported first few months with baby. This natural first step with baby on your continuous perinatal support journey takes the best elements of baby massage, baby yoga, postnatal yoga and mum & baby classes & support groups and wraps all of these together in a powerful 5 element model that allows you the confidence that comes from realising you can figure it out together. Daisy Baby Tinies classes are for postnatal mums and their baby only, are suitable to attend from around 4- 6 weeks after birth and are adapted to suit all postnatal related conditions, multiples and individual needs with ease. Classes are booked in blocks of 6 weeks at a time but are designed to carry you through from Tinies to Wrigglers to Cruisers, supporting you from around 6 weeks postnatal until baby is 18 months. Tinies classes are 1 hour long and cost £40 followed by a warm cuppa, chat, hugs and friendship. Tinies class is on a Thursday at Midday at Nurture he Mournes C.I.C in Warrenpoint. I look forward to welcoming you to your Tinies Class. You will be made very welcome.